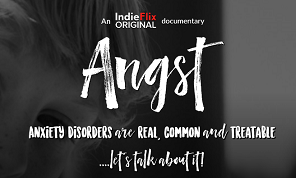 IndieFlix, a leading independent online streaming platform, along with its non-profit arm, the IndieFlix Foundation, is sparking a global conversation about anxiety through screenings of its brand-new documentary, “Angst: Raising Awareness Around Anxiety”. Between 23 and 26 April 2018, ESF will host three special screenings of the documentary for parents, to open up a dialogue between families, community leaders and experts. The event will feature a viewing of the 56-minute film, followed by an informative panel discussion, led by the producer of the film Scilla Andreen, with Tim Conroy-Stocker, educational psychologist, and a local clinical psychologist. Look for upcoming details about venue, time and registration methods released soon.